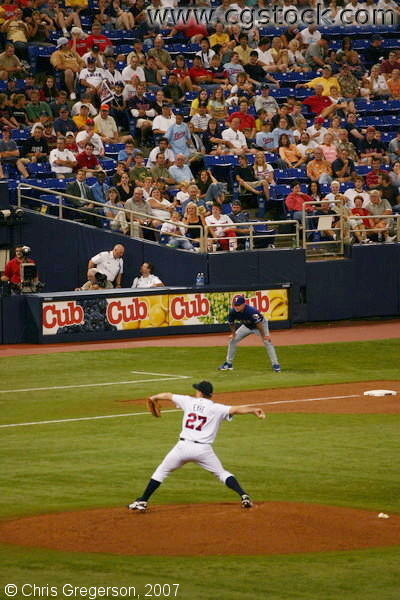 Fielding team is the Minnesota Twins. Batting team here is the Texas Rangers. This is at the Hubert H. Humphrey Metrodome (HHH stadium) in Minneapolis.